Description: Native to tropical America, this short-lived evergreen subshrub is usually treated as an annual. It is grown for its curiosity value - the fern-like leaves close up and droop when touched, usually re-opening within minutes which is called thigmonasty. It also exhibits nyctinastic movement, like many legumes, in that its leaves also close up at night. It has prickly stems and small, fluffy, ball-shaped pink flowers in summer. It grows to a height and spread of around 3 ft (1 m). In many areas this plant is becoming a noxious weed. Uses: Medicinal Properties include: Antibiotic, antimicrobial, anti-neurasthenic, antispasmodic, diuretic, tonic">nervine, poison, sedative, anti-depressant, aphrodisiac In Ayurveda, this plant traditionally aids agitated Pitta and Kapha. Drinking a decoction of this plant can lower fertility, lower uterine bleeding, and increase blood sugar. A paste of the plant can be used in many skin ailments: fungus, cuts, wounds, ulcers. In the reproductive system, the paste can reduce vaginal swelling and burning. It also lessens the load of menstrual bleeding by altering the estrous hormone cycle. As such, in men, it may also improve sexual impotency. Treats stomach ache, oral hygiene, glandular swelling, indigestion, diabetes, and asthma. Culture: These frost-tender plants prefer full sun and moderately fertile, well-drained soil. Water well during the growing period, sparingly in winter. Propagate from seed although summer cuttings are also practical. For best germination rates treat seeds with a hot water bath prior to sowing. 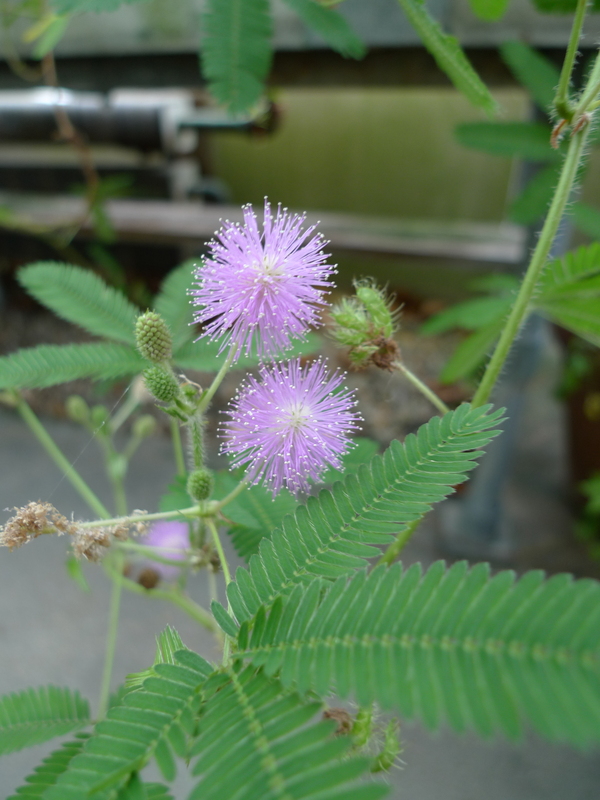 Mimosa pudica at ARS-GRIN. Last accessed on Monday, October 02, 2017. 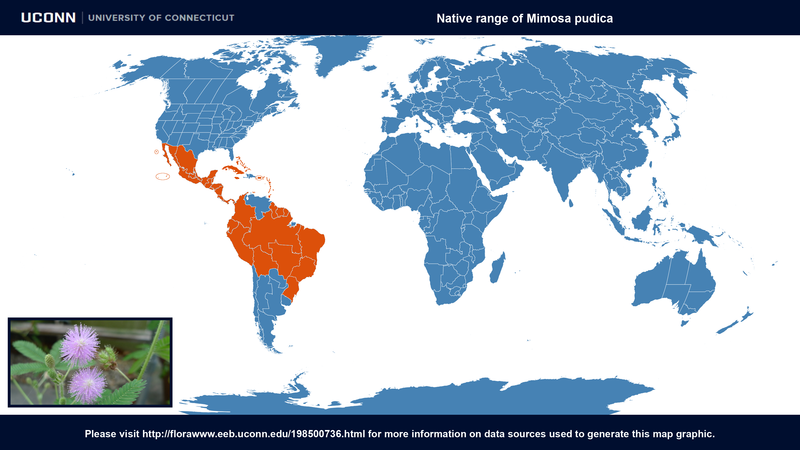 Mimosa pudica at IUCN Redlist. Last accessed on Monday, October 02, 2017. 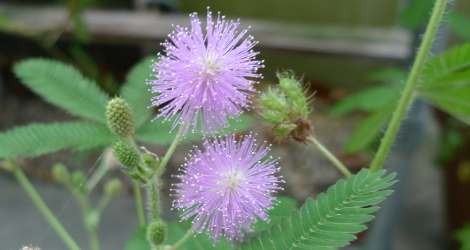 Mimosa pudica L. (Laajvanti): An overview H. Ahmad, S. Sehgal, A. Mishra, and R. Gupta. Pharmacogn Rev. 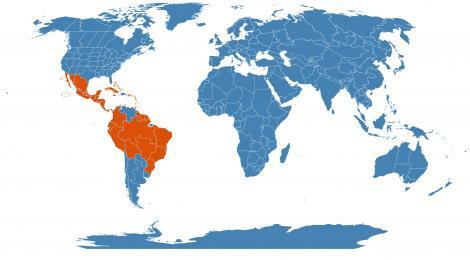 2012 Jul-Dec; 6(12): 115–124. Last accessed on Thursday, March 29, 2018.